BA cabin crew begin second five-day strike. BRITISH Airways crew union began their five-day strike Sunday after talks held on Friday failed to resolve the dispute between the airline and the Unite union. Despite the new strike British Airways said it will increase flights because more crew were returning to work than had been expected. The airline said it would increase its longhaul service at London’s Heathrow airport to more than 70 percent of flights, from 60 percent this week. It also said it aims to increase shorthaul flights at Heathrow to 55 percent of flights from 50 percent and operate a full schedule from London’s Gatwick and City airports. Thousands of passengers face more disruption at the start of a week of school holidays in Britain. Cabin staff is due to begin a third wave of strikes on June 5, days before the start of the World Cup soccer tournament in South Africa. The two sides are locked in disagreement over pay, reduced staffing levels and cuts to benefits. The following flights in and out of LHR to Canadians cities are showing as cancelled up to June 4 as of 12h45 EST May 31. All flights to and from London City and London Gatwick will operate as normal. Go to http://www.ba.com for up to date information as these schedules may change. The hurricane season extends from June 1 to November 30. Tropical depressions and storms that may develop into hurricanes occur in the North Atlantic and Northeast Pacific oceans. The east and Gulf coasts of the United States (including Florida, Louisiana and Texas), Mexico, Central America and the Caribbean are the most threatened areas. Extreme weather events of this kind appear to be becoming more frequent and may pose a growing threat in these regions. If you choose to travel during the hurricane season (June 1 to November 30), you may be affected by these storms. Up-to-date weather forecasts for the region are available from the National Hurricane Center at http://www.nhc.noaa.gov/. GUATEMALA’s La Aurora International Airport (GUA) will remain shut for another five days as cleaning the ash fallout from the Pacaya volcano has been complicated by rains from Tropical Storm Agatha, officials said on Saturday. The airport was closed on Friday by huge ash clouds hovering over Guatemala City and surrounding areas that Pacaya spewed out in a new eruption since it became active on Wednesday. Civil aviation officials said they needed the time to remove a blanket of ash centimetres thick from the runways, adding that driving rains from Agatha as it churned toward Central America made the job more difficult. 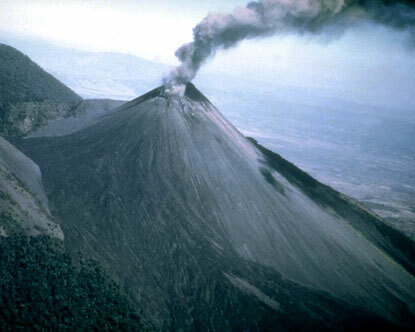 President Alvaro Colom declared a 15-day state of emergency around the volcano. BA has issued guidelines for passengers with tickets to fly to/from Jamaica in the next 72 hours. Ticket holders can either rebook onto another BA flight bound for the same destination within the next five days. If the same booking class is not available, the lowest class in the same cabin may be booked. Ticket holders also have the option of rebooking to Montego Bay. Customers who are half way through their journey can book themselves on the next available BA flight back to their origin or leave earlier to continue their journey. All these changes can be done at no extra cost but must make sure to include INVOL RBKD DUE KINGSTON CIVIL UNREST into the endorsement box. Travel Reports: Foreign Affairs and International Trade Canada have issued the following updates on travel to: Germany Warning level: Exercise normal security precautions. The east of Germany, along the border with Poland, is experiencing severe flooding. Flooding is occuring along the course of the Oder River as the excess water flows from south to north. Floods are currently affecting regions to the east of the country, in particular along the German-Polish border in Ratzdorf, Eisenhuettenstadt and Frankfurt (Oder) in the state of Brandenburg. Local authorities in this region have raised the disaster alert state in the region to the highest level possible. Flooding could disrupt public transportation. Travellers should keep informed of regional weather forecasts and plan accordingly. Air France Air Traffic Controllers Strike. 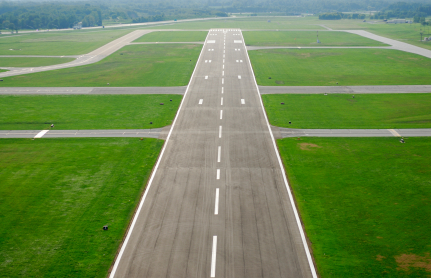 Some French air traffic controllers in France are set to strike on May 27. Consequently the French Civil Aviation Authority (Direction Générale de l´Aviation Civile – DGAC) limits the number of flights of each airline scheduled during this period. As a result, on Thursday May 27, some flights had to be cancelled as a preventive measure in the morning, mainly from and to Paris-Orly. Some delays and some additional cancellations on short and medium-haul flights are still possible. – 95 % of domestic and European flights from Paris-Charles de Gaulle and 80 % from Paris-Orly. AF staff will attempt to inform passengers whose flights are cancelled and, if necessary, offer them an alternative booking on either Air France, KLM via Amsterdam or one of the SkyTeam partners. For updated information on flights go to http://www.airfrance.ca. BA confirms May 30-June 4 flight schedules. BRITISH Airways has confirmed its flight schedule for the next wave of cabin crew strikes, set to start on May 30. Again, the airline plans to operate all flights to and from London City and London Gatwick. Please note that these schedules might change, customers are urged to refer to ba.com for the most recent updates. MAJOR US airlines have added “peak travel day” surcharges ranging from US$10 to US$30 per one-way domestic flight from June 10 to August 22. Depending on the day — US$10 on Tuesdays and Wednesdays; US$20 on Thursdays, Fridays Saturdays and Mondays and US$30 on Sundays — a family of four could end up paying a sky-high surcharge of $240 for round-trip airfare. Among the five big airlines — American, Continental, Delta, United and US Airways — the only day that is not subject to the surcharge between June 10 and August 22 is July 4, which is regarded as a very light travel day for airlines. Airlines prefer to use surcharges rather than raise prices outright because surcharges specifically target high-demand days and are less expensive to track. Southwest Airlines and JetBlue Airways are not joining the major airlines and will not have surcharges on any flights. Jamaica update: clashes claim more lives. CLASHES between civilians and police forces on the streets of Tivoli Gardens have left 30 people dead and 25 injured. Flights in and out of Jamaica’s Norman Manley Airport were also disrupted with some airlines continuing to reschedule or cancel flights. The airport was also forced to close for a few hours yesterday when the roads to the airport was blocked by civilians and police but has since opened. Meanwhile life in areas such as Montego Bay, Ocho Rios, Port Antonio, Negril and other resort areas remains undisturbed. The government is working to resolve the situation but travellers are advised against all but essential travel to Kingston. EST 06h00: BA Strike shock for travellers. THE UK’s Unite Union has won their appeal against a High Court injunction prohibiting British Airways cabin crew members from participating in planned walkouts. The decision by the High Court means that strikes can go ahead as soon as next week. Walkouts by cabin crew members were originally planned for May 18-22 , May 24-28, May 30-June 3 and June 5-9. Unite did not release an official statement by the time of going to press. Canadian embassy in Thailand closes amid protests. 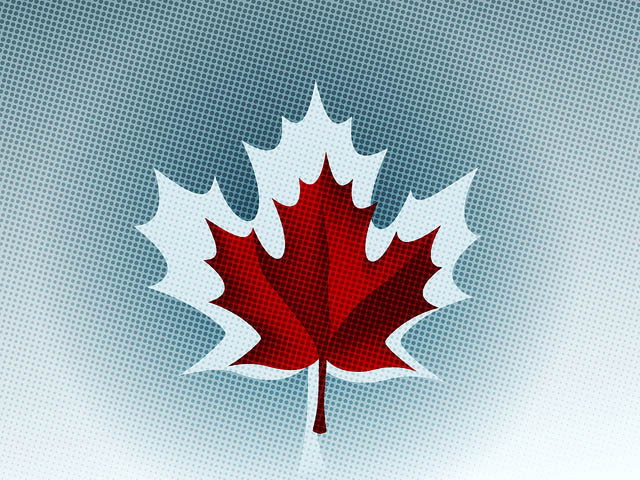 THE Canadian Embassy in Bangkok has been forced to close its doors due to unrest in the capital. The embassy will be closed until further notice along with the US, British, Belgium, German, Japanese, New Zealand, Swedish and Australian embassies. LUFTHANSA took delivery of its first A380, ‘Frankfurt am Main’, on May 19. The aircraft offers a total of 526 seats in a three class configuration. The entirely new first class cabin offers eight seats on the upper deck, 98 seats in business class also on the upper level and 420 seats in economy class. The German national football team will also soon get the opportunity to experience the A380, when they depart on a special flight to Johannesburg for the World Cup. The A380 will enter scheduled service with Lufthansa on June 11 on the Frankfurt-Tokyo route. By autumn, Lufthansa expects to have taken delivery of four A380s, which will be operated on routes to Beijing and Johannesburg. Let’s hope that we might see the aircraft on the Vancouver to Frankfurt route one day. BRITISH Airways has published its contingency plans for Unite’s strike period of May 18, 19, 20, 21 and 22 and will fly more than 60 000 customers each day. At Heathrow, British Airways intends to operate more than 60% of longhaul flights and more than 50% of shorthaul flights in the first strike period and it will add to this schedule where possible. The airline will continue to fly to every shorthaul destination on its network. The airline is still available to hold further talks with Unite but wants customers to have early warning of its flying schedule to allow sufficient time for alternative travel arrangements to be made. Customers flying to/from Heathrow on a longhaul flight between May 18 and May 23 can now check their bookings on http://www.ba.com to see if their flight is still operating. The revised shorthaul Heathrow schedule between May 18 and May 23 will be available for customers on the airline’s website at 10h00 on May 14. Thai anti-government protesters continue to be defiant as they spread themselves throughout Bangkok over the weekend clashing with security forces. At least 29 people have been killed and 230 injured over the past three days. A state of emergency has been extended to five more provinces, bringing the total to 22. While security forces are trying to keep the protesters contained to one area rallying points continue to spring up elsewhere in the capital. Two parts of Bangkok have been declared “live firing zones” and there are fears that protests could spread across the country as protesters held a rally in Ubon Ratchatani over the weekend. The UK Foreign and Commonwealth Office has also advised travellers against visiting areas of Pattaya, Chiang Mai, Chiang Rai, Ayuthaya and the area in the south that borders with Malaysia. Meanwhile, the Dusit Thani Hotel was forced to advise cutomers to check out after three RGB rockets were fired at the hotel. No injuries were reported. WestJet introduces extended in-flight entertainment time. WestJet has decided to extend in-flight entertainment time by introducing ‘Here-to-There in-flight entertainment’ allowing passengers to enjoy seatback television on the ground and in the air. In-flight entertainment is usually only available once the flight is in the air but now passengers travelling on WestJet will be able to watch television from the time they board to the time they get off provided they have ear-bud type earphones and except during the safety demonstration. WestJet has been working closely with Transport Canada to make this service possible. John Lennon Tribute Season Kicks Off. 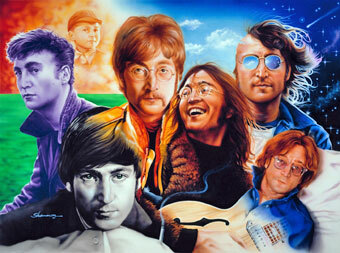 Artist Shannon honored as official painting of Lennon birthday celebration. Starting this month, a celebration will start in my hometown, Liverpool, England for the countdown of the most anticipated birthday/memorium for the most celebrated man in the history of Rock and Roll. John Lennon would have been 70 years old on October 9, 2010. On December 8, 2010, it will be 30 years since his life was taken away from us, so far from his home town, Liverpool. From October 9th to December 8th a celebration of life will take place throughout the world and on December 9th, but only in one true place will you feel the passion and atmosphere where musical stars of all eras will unite on stage when the John Lennon tribute season closes with a unique and emotional charity concert finale “Lennon Remembered,” at Liverpool’s iconic Echo Arena Stadium. Beatles Artist Shannon has had her most famously recognized image of John Lennon elected as the official backdrop for this concert. “The Seven Faces of John” was painted by Shannon in 1997. It will be updated with two new Lennon images especially for this celebration to coincide with the number 9. The number 9 represents many things Lennon including his songs “Revolution Number 9” and “Number 9 Dream”, his birthday, and the date of this massive celebration. So start saving now, and fly from your home town to Liverpool’s unique John Lennon International Airport, just a quick change via Amsterdam. BA to be hit by 20 days of strike action. BRITISH AIRWAYS cabin crew are to hold a further 20 days of strike action, the Unite Union announced. According to the union the airline’s management failed to offer any new proposals to settle the dispute. The strikes are planned on May 18-22 inclusive, May 24-28 inclusive, May 30-June 3 inclusive and June 5-9 inclusive. The seven days notice period could be sufficient time for BA management to do the sensible thing and reopen meaningful negotiations. Unfortunately the airline management, in a statement said that it is saddened but not surprised that Unite has announced further plans for extensive disruption for potentially hundreds of thousands of customers over a busy period that includes the May half-term holidays. The airline said that it plans to operate all flights to and from Gatwick over the strike periods. Flights at London City will also be unaffected. At Heathrow BA plans to operate a substantial part of its longhaul schedule and there will be a number of daily flights to every destination across its shorthaul network. The airline also said that it is in discussions with a number of carriers about leasing in extra aircraft to support its shorthaul schedule and also obtaining thousands of seats from other airlines to help customers rebook if their original flight is cancelled. In conclusion the airline said it will give more details four or five days before the strike is due to begin when it will announce the exact details of its revised Heathrow schedule. Carnival announces the name of its new ship. CARNIVAL Cruise lines are excited to announce that the Carnival Breeze has been selected as the name for their brand-new ship which will join the fleet in spring 2012. As the third ship in the Dream-class, guests can expect all the amenities on the Carnival Breeze that they’ve come to love on the Carnival Dream. Features include expansive, modern facilities for children and teens, a 23,750-square-foot Cloud 9 Spa, and The Lanai, an outdoor promenade featuring cantilevered whirlpools that extend over the ship’s sides. Other features will include the popular WaterWorks aqua park with a 300-foot-long corkscrew water slide, and a stunning indoor/outdoor café and live entertainment venue called Ocean Plaza. Carnival will also offer a wide range of staterooms to match your clients’ tastes and budgets, including deluxe ocean views with two-bathrooms and some family-friendly accommodations that feature five berths. Carnival Breeze will be the 24th vessel in Carnival Cruise Lines’ fleet, which operates three- to 15-day voyages to the Bahamas, Caribbean, Mexican Riviera, Alaska, Hawaii, Panama Canal, Canada, New England and Europe. Warning level: Exercise a high degree of caution. Canadians should exercise a high degree of caution when travelling to Sri Lanka. Although the Sri Lankan Government has recently lifted some restrictions on travel, a nationwide state of emergency is still in effect. As a result, there is a heightened security force presence, including checkpoints, and roads may be closed on short notice. ASH CLOUD CLEARS IN EU; BLOCKS AIR ROUTES IN MID-ATLANTIC. Flights across Europe were operating normally Monday after a plume of volcanic ash that disrupted air traffic and forced some airports to close over the weekend dispersed, aviation officials said. But, delays on trans-Atlantic flights were expected because another band in mid-ocean was still blocking the air routes between Europe and North America, the European air traffic agency Eurocontrol said. “While most of these flights are operating, many are having to make significant re-routings to avoid the area of ash cloud coverage, resulting in delays,” according to a statement from the agency. The Tourism Authority of Thailand, releases statement to relieve concerns for those planning to visit Thailand. The Tourism Authority of Thailand (TAT) released an official statement last week to relieve concerns stemming from news that has recently been coming out of Thailand and to give travellers a better understanding of what’s going on there. Q: Is the TAT advising tourists to avoid visiting Thailand? A: Absolutely not. Travel and tourism are operating as normal throughout Thailand and all airlines flying to and from Thailand are operating their normal schedules. Visitors in Bangkok should seek advice from tour guides and hotel concierges to determine if there are any areas to avoid. Q: What is the reality on the ground in Thailand right now? A: As of May 6, 2010, political protests in Thailand were abating. A five-point plan presented by the Thai Prime Minister was unanimously accepted by the protestors and the situation is near final resolution. Meanwhile, life in Thailand continues as normal; tourist sites are open and tens of thousands of travellers are in the country. Q: Is the TAT being irresponsible by not warning tourists to stay away from Thailand at this time? A: Naturally, travellers need to make their own decision regarding whether they feel comfortable coming to Thailand, but the situation is normal in almost all of the areas where tourists go, and the political situation is improving. Most importantly, if we felt it unwise for tourists to be visiting Thailand right now, we would ask you not to come. Q: Does the TAT believe the airport will be closed again? A: The TAT is in close communications with the parties responsible for the operation and security of Bangkok’s Suvarnabhumi International Airport. The airport is currently operating as normal and there seems to be no reason to believe that airport service will be disrupted. Q: Several governments have issued advisories suggesting their citizens not to travel at the moment to Thailand. How do you react to this? A: Yes, the U.S. State Department last week issued a travel alert suggesting U.S. citizens should temporarily avoid nonessential travel to Thailand; we expect the alert to be rescinded shortly. 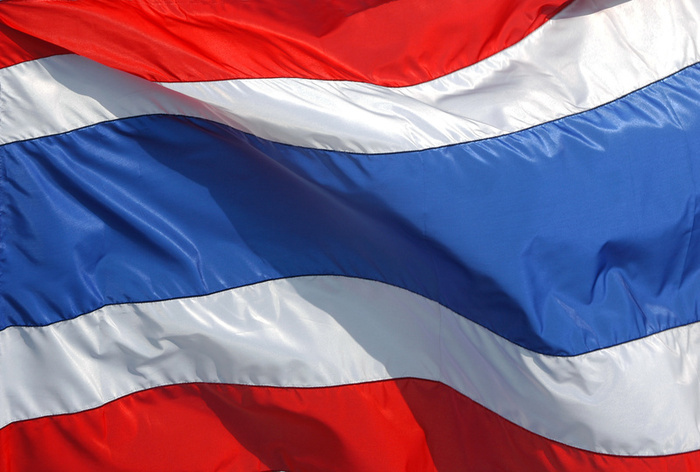 Moreover, the State Department has not urged U.S. citizens currently in Thailand to leave, and U.S. diplomats and their families are remaining in Thailand as normal. BRITISH Airways cabin crew have “overwhelmingly” rejected the company’s offer relating to the current industrial dispute, the Unite Union announced on May 7. In a statement the Union said that around 81% of the crew voted against the offer, in line with the union’s recommendation. There was a turnout of 71%. Representatives of the crew will meet with Unite’s Joint General Secretaries, Derek Simpson and Tony Woodley, today (May 10) to discuss the next moves in the dispute. Air Canada’s check-in for flights within Canada at Vancouver International Airport has temporarily been moved to the international terminal due to maintenance of the baggage system in the domestic terminal. This change will be in effect until May 22, 2010. Visa introduces World Cup Visitors Guide. Visa has created an easy-reference travel guide that aims to give visitors the insight they need into South Africa to ensure that they are as well informed as possible. Developed with the help of local experts from South Africa, the Visitors Guide: South Africa contains information on must-see heritage sites, museums, safari parks and other attractions as well as insight on local shopping and dining hot spots. The guide offers information such as a football glossary and World Cup schedule, a list of qualified teams and helpful money and payment card tips. Special merchant offers for Visa cardholders such as discounts at heritage sites, museums, parks and other attractions throughout South Africa are also included – designated by a small blue Visa card throughout the guide. “We want to make sure people attending the 2010 FIFA World Cup™ have a memorable experience, so for fans travelling to South Africa we created this easy reference travel guide to help answer questions about the area and help them prepare for their trip,” said Antonio Lucio, Chief Marketing Officer of Visa Inc.
China: Update to the World Expo 2010 in Shanghai. Enhanced security measures have been implemented in Shanghai for the World Expo 2010 which is taking place from May 1, to October 31, 2010. Travellers should expect an increased police presence and numerous check points which are likely to cause severe traffic disruptions. THAILAND’s Prime Minister, Abhisit Vejjajiva, has announced that he is ready to dissolve parliament in September, paving the way for elections in and effort to end the political crisis. Vejjajiva outlined a five-point national reconciliation plan to end the crisis, including holding early elections on November 14. The set election date comes about a year before the end of his term and was offered on condition that all parties accept it and drop demands of an immediate poll. Vejjajiva further said that the ‘Red Shirt’ protestors should stop all protest or he would not dissolve the parliament. Although the announcement was welcomed by many, some anti-government protestors demanded more talks before agreeing to end protests. Media are reporting that several thousands of protestors remained in Bangkok saying that they still have problems. Update to the risk of election related violence. The Philippines will hold national elections on May 10, 2010 and the Presidential Inauguration will take place on June 30, 2010. The security situation remains uncertain and there is a risk of election related violence throughout the country. 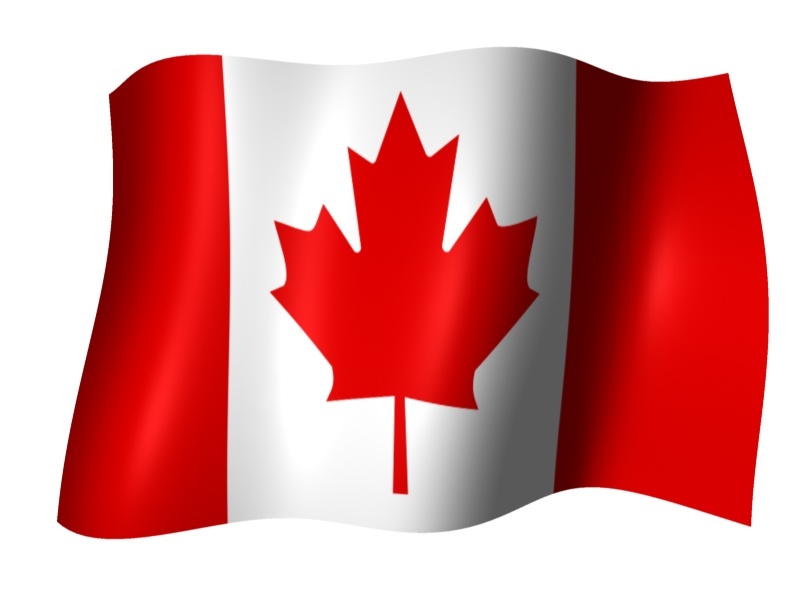 Canadians should maintain a high level of personal security awareness at all times and avoid any protests, demonstrations and large gatherings, as the situation could deteriorate rapidly. Political parties’ headquarters and political rallies should also be avoided, as they could be the target of attacks. CUNARD line and P & O Cruises have decided to reintroduce fuel surcharges. A fuel surcharge of US$3.85 will be charged per person per day or a maximum of US$154 per person per voyage. Children will also not escape this fee as the two brands will apply the supplement onto any third and fourth berth passengers as well as children’s fare bookings. Fuel surcharges were removed in 2008 when oil prices stabilised. The decision to reintroduce these charges was made by the cruise company itself and it is not yet known if other cruise lines will do the same.